The Ontario government (in Canada) has allotted the first 25 pot shop licenses by lottery. Nearly 17,000 applicants participated in the lottery to win the right to apply for a licence to run one of Ontario’s first cannabis shops. The province has temporarily limited the number of stores to 25 because of a shortage of pot. Politicians decided that a lottery was the fairest way to decide who could first apply for the licences. The lottery was a blow to entrepreneurs who already had plans to open shops under way. Some had signed leases and completed branding and store designs. At least half a dozen companies, including Ottawa’s National Access Cannabis, planned pot-shop chains or franchise operations. Those big players found themselves at the mercy of chance, just like everyone else who paid $75 to enter the lottery. It didn’t appear that any of the big players won the lottery. Good interview of David Van Reybrouck by Chris Hedges, the Pulitzer Prize winning journalist who writes for Truth Dig and has a show on RT. In this interesting and entertaining August 2017 TED Talk, Lawrence Lessig, the Harvard law professor, shows an appreciation for some of what is wrong with decision-making by popular vote in contemporary societies, and for some of the political significance of deliberative polls. … the answer is not to reject democracy. The answer is to find a way for democracy to represent us better. To give up the idea that when we talk about “we” as in “we the people” we’re talking about what we happen to think now, and replace that idea with a conception of “we” where what we mean is what we think when we are informed and [have] deliberated. He then indicates deliberative polls provide a “we the people” of the kind he describes, and discusses, in glowing terms, the 800 member deliberative poll in Mongolia on the constitution (at which he was an observer). He does not (in this video) suggest any actual democratic reforms for the U.S. This is my reply to Paul Lucardie’s 2014 book Democratic Extremism in Theory and Practice: All Power to the People, regarding his questions, objections and comments about my 1998 proposal for democratic lawmaking. In my reply I explain why Lucardie’s alleged category of “democratic extremism” is illogical and should be rejected. I do not find the book’s objections to what I propose to be convincing, but I do find them and Lucardie’s questions interesting and worth replying to. For example, he suggests that compared to popular election, citizen juries waste political talent. I explain, in response, why popular election massively wastes political talent compared to the citizen jury proposals I have made. In the course of replying, I outline much of my position on citizen juries, including details I have not published before, such as some further details about why the final say in lawmaking needs to be transferred to legislative juries, and about juries deciding how public decision-makers are chosen. Lucardie observes that: “Obviously, it is rather inconvenient if one wants to write about a phenomenon [democratic extremism] that by definition cannot exist [because it is a contradiction in terms].” (14.) Lucardie then tries to define “democratic extremism” in a way that is not a contradiction in terms, but he does not succeed. 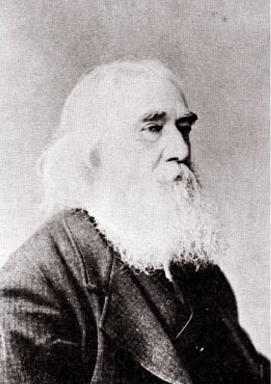 Lysander Spooner (1808-1887) was a prominent 19th century American legal theorist, abolitionist (abolition of slavery), and competitor with the U.S. Postal Service until they shut him down. A biography and collection of his work are here. Spooner continues to be cited in the U.S., including for example by Justice Scalia writing for the Supreme Court majority in 2008 in District of Columbia v. Heller. 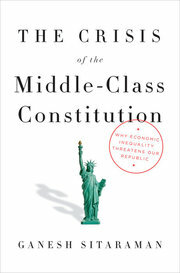 Ganesh Sitaraman proposes a sortition version of the tribunes of the Roman Republic in his new book The Crisis of the Middle-Class Constitution: Why Economic Inequality Threatens Our Republic. Perhaps the least familiar and most intriguing policy proposal that Sitaraman discusses is the idea of reviving the Roman tribunate: 51 citizens would be selected by lot from the bottom 90 percent of the income distribution. They would be able to veto one statute, one executive order and one Supreme Court decision each year; they would be able to call a referendum, and impeach federal officials. Sitaraman is an associate law professor at Vanderbilt Law School. It is neither democratic nor desirable that the prime minister and the House of Commons keep deciding Canada’s election rules. There is a far better alternative. In Classical Athens, the birthplace of Western democracy, much of the decision-making was done by juries chosen from the citizens by lottery. A modern version of Athenian juries could be used to decide election rules today. Politicians should not decide the rules they are elected under because fair and democratic decision-making requires that those who decide do not have a conflict of interest. Election rules are far too important to our democracy to be compromised by the strong self-interest of politicians in rules that favour themselves.